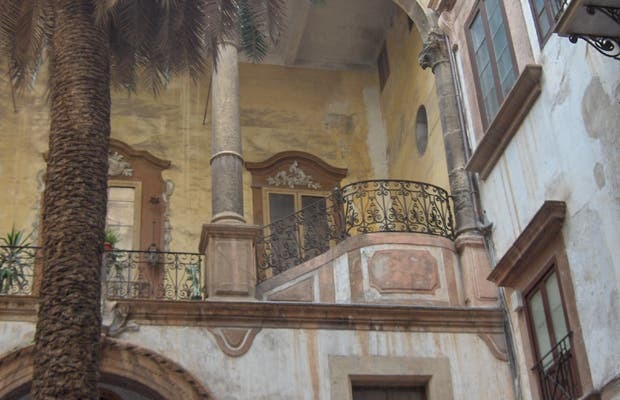 Today I want to share with you a very special place in the city of Palermo. I found it by accident on my first visit, and fell in love. This is the private courtyard of an ancient Palazio, and located just a few steps from the cathedral. I've heard that it's been restored in a horrifying way, and I hope it's not true!